Ch-ch-ch-ch-changes … yes, it’s that time of year when the grapes begin to fall in Niagara and winemakers begin what seems like an annual shuffle of changing wineries. Trying to keep up with all the changes, well, that’s not easy, but we do know a few ch-ch-ch-ch-changes, as David Bowie would say, including the departure of Jeff Hundertmark from Marynissen and, also, the departure at the end of September of Alvento winemaker Greg Yemen. Hundertmark announced Friday he’s leaving the historic Marynissen, which was sold over a year ago to Jun Yang and his team headed by Catherine Zhang. 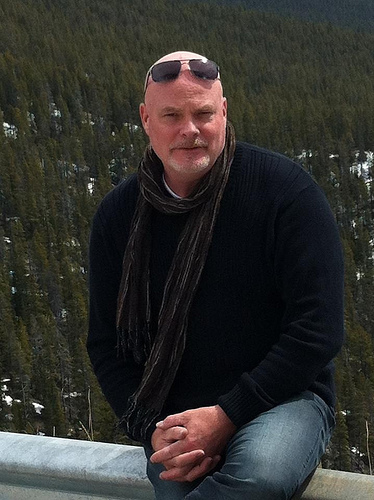 There is no word on what happened to Mike Weir’s winemaker or Stoney Ridge’s Gord Robert. There’s also word that Ridgepoint winemaker Barclay Robinson has left that winery that he joined not even a year ago to work at Foreign Affair. The Foreign Affair winemaker, Ilya Senchuk, took a parental leave of absence at the beginning of the summer. And, after this was posted, a source told me that Alvento, sold to Zhao Yan last October after a bitter feud by the previous owners (read about it here in a previous post), has decided to sell its grapes to another winery instead of making wine and will lease out the vineyard. That makes Yemen’s job, a great young winemaker who worked at Flat Rock and and Alvento under previous owner, Bruno Moos, obsolete. He leaves the post at the end of September and if anyone is looking for a solid addition to their winemaking team, please contact him. After very careful deliberation, I have mixed emotions in announcing my resignation as winemaker/sommelier for Marynissen Estates Winery. For 6 years I have had the honour of continuing the legacy of John Marynissen through my wines and passion for Lot 31 and Lot 66 vineyards. Creations like Solstice, Bottoms Up, Nanny’s Blend and Summer Solstice as well as a few beauties coming to the shelves soon, have been a great source of pride for me, personally. It is my sincerest desire for the legacy to continue for many years to come and wish the new owner of Marynissen, Mr. Jun Yang and his team headed by Catherine Zhang all the best in the future. As of Sept. 4, 2013 I will be starting a new career in this industry as head winemaker for Mike Weir Wines and head winemaker for Stoney Ridge Estate Winery. This new path is exciting and a huge opportunity for me. I look forward to seeing you all again in my new role. 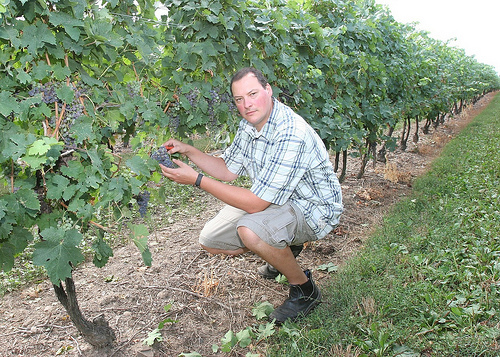 With this year’s conditions cooler and wetter than the banner year of 2012, Niagara’s grape crop needs to stay on the vine a bit longer to reach full maturity, say researchers at Brock University’s Cool Climate Oenology and Viticulture Institute (CCOVI). But optimism remains high for a strong vintage this fall. “Based on preliminary data, the harvest will be later than last year and more typical for an Ontario vintage,” says CCOVI viticulturalist Jim Willwerth. Tracking the maturity of grapes across the Niagara Peninsula is the focus of CCOVI’s popular preharvest monitoring program that launched for its fourth harvest season this week. The program, run by Willwerth, helps winemakers and grape growers to make informed harvest decisions. “No two vintages are alike,” says Willwerth. “The 2013 crop is healthy and slightly behind some of our hotter and dryer vintages in terms of general maturity. Each week until the end of harvest, Willwerth will collect samples at four sites across the Niagara region, tracking key ripeness indicators for the four most popular Niagara varieties — Chardonnay, Riesling, Cabernet Sauvignon and Cabernet Franc. Data measuring sugar levels, titratable acidity, pH and volatile acidity are posted to the program’s website (ccovi.ca/preharvest) each Tuesday. The interactive website lets users view grape maturity data, compare sites and varieties across the Niagara Peninsula, and also compare this year’s vintage to harvests from 2010 to 2012. Grape grower and Ontario Grape King Curtis Fielding says the industry values the program, as the preharvest snapshot reveals how grapes are developing across the region. “This data is a great addition from the research wing of CCOVI,” Fielding says. “With work and life being so busy these days, it is hard to be in all the places you need to be, this data gives our team an easy to use tool to see where things are headed across the Peninsula. It has been a whirlwind of a year, acting as the face of Ontario’s grape farmers while still maintaining a popular family-run winery, but the Grape King experience has been nothing but special for Curtis Fielding. The President of Fielding Estate Winery received the honour just before the 2012 Niagara Wine Festival kicked off, and looking back over the past 12 months, Fielding says it has been a memorable year. 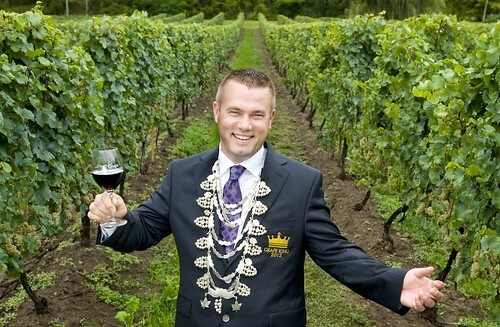 While Curtis’ name will go down beside other world-class grape growers who have been Grape King — he slyly adds he’s looking forward to riding on the “old boys (and girls)” float in the 62nd annual Grande Parade — he continues to make his mark in Ontario’s wine industry. A background in business marketing and auto racing isn’t a usual entry to farming, but Curtis quickly took to the craft of growing VQA wine-quality grapes. Since Fielding Estate Winery opened its Wine Lodge nestled up against the escarpment in Beamsville in 2005, it has quickly grown into one of Canada’s top wineries. The installation of the 2013 Grape King will be made Sept. 18, 2013. And while Curtis enjoyed his time with the navy-coloured jacket and chain of office, he is wishing his successor the best of luck. Grape Growers of Ontario are announced that an agreement on the 2013 juice grape prices has been reached with the Winery & Grower Alliance of Ontario. 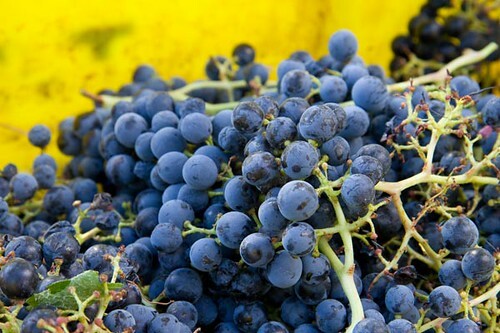 The agreement includes a 1.5% increase over 2012 prices as follows: Concord grapes $480 per tonne; Niagara grapes $456 per tonne; Class 3 (Elvira) grapes $551 per tonne. Wine grape prices follow the second year of a two-year agreement reached between Grape Growers of Ontario, Wine Council of Ontario, and Winery & Grower Alliance of Ontario. This agreement provides for 1% price increases for Red hybrid, White hybrid and White vinifera grapes over 2012 prices. Ontario’s grape and wine industry is a key economic driver in Ontario, with over $88 million in grape sales annually, particularly in the province’s designated viticulture areas: Niagara Peninsula, Prince Edward County, Lake Erie North Shore, and Ontario’s emerging South Coast wine region.